Included in the appropriate clothing and gear for the area activities, good Rain Gear with a Hat is a Must Have along with layering your clothing in preparation for cooler weather. 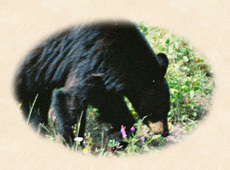 In the summer you will want to leave your cotton at the lodge for traveling and activities in town. Wear nylon and other synthetics in layers. When Cotton gets wet it Stays Wet and can lead to chafing and hypothermia, even when it doesn’t seem cold. In winter, wool is a great insulator (though heavier) and warm even when wet. 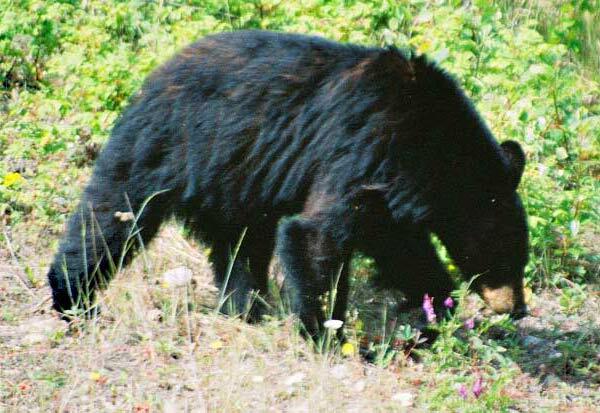 You will also want to bring your day-pack, camera, binoculars, pepper spray, snacks and beverages. Please, remember to discard your refuse properly in the garbage cans provided. 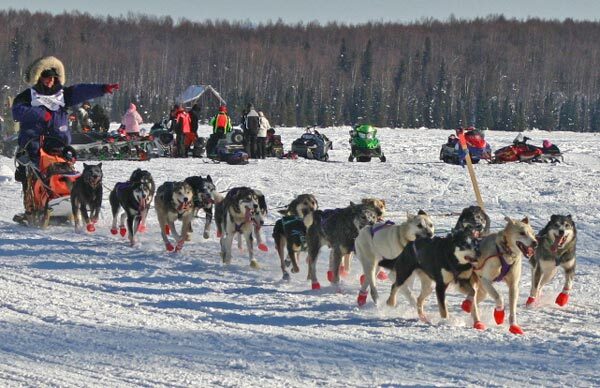 Take the Parks Highway to the Talkeetna Spur Road at Mile 99. Take the Spur road to Mile 3. Take Jubilee Road to the left for approximately 1 mile. Take a left on St John for approximately 1 block. Take a right on Coffey Lane. The Lodge is approximately ½ mile down Coffey Lane on the right hand side. 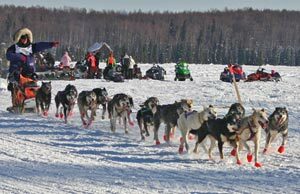 We are approximately 9 miles south of downtown Talkeetna; 100 miles north of Anchorage; and 145 miles south of Denali National Park. Great, relaxing & homey common area with 56" HD Plasma TV, Direct TV (for those sporting events you don’t want to miss), and Blue-Ray/DVD Player, large & beautiful deck with plenty of tables and chairs to take in the views and relax. $30.00 Per Extra Person Charge for more than 2 Guests per room. Rates include a complete hot breakfast for All guests!! All lodge rooms have 30" (or larger) HD TV's with Direct TV, DVD players & Free (Wi-Fi) Wireless Internet. Wi-Fi access is NOT Secured! All Rooms have beautiful log furnishings, excellent mattresses, refrigerators, microwave ovens, Keurig coffee makers or coffee pots and PRIVATE BATHS. • Our Breakfast changes daily. We like to meet with our guests upon check in and discuss what we will be preparing the next morning. Popular items we serve are Quiche, egg casseroles, muffins, homemade fruit breads, toast, cereals, homemade waffles, Keurig Coffees (Many Flavors, De-Caf & Teas), and juices. Breakfast is served in the commons area each morning from 8:00 AM to 9:30 AM. Please let us know ahead of time if you have any dietary restrictions or allergies. We can make a variation of the above served food, including vegetarian dishes, dairy free or gluten free breakfasts. For our Vegetarian and Egg free guests, we provide oatmeal with a variety of toppings. • For guests departing before 8 am, Please let us know ahead of time. We can have a breakfast burrito in the fridge in your room the night before. For our dietary or allergy restrictive guests, we provide oatmeal that can prepared in the room. • Gratuity for our Guest Service Specialists is not included in the price of the room. GSS are the employees who prepare each room and breakfast for all guests in the morning, as well as provide bountiful knowledge of our town and the activities you can enjoy from a local perspective! • Summer Rates apply from May 1 to September 30. • Complimentary FlightSeeing Tour with 3 Day stay in a Suite or, $10 per day Discount with a consecutive stay of 3 or more days in any room, cabin or suite. (Ex: Weddings, Family Reunions, Climbing Clubs, Fishing and Hunting Groups, Management Retreats etc), we can accommodate a minimum of 12 persons and have mobile beds to accommodate as many as 20. 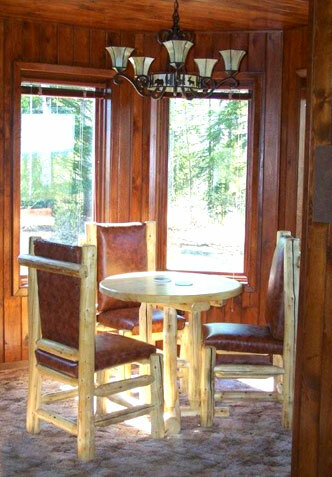 There is plenty of room in the Main Lodge Commons and Dining area for meetings accommodating 12 people. This will include maid service and Full Breakfasts as well. For extended stays, please ask about additional discounts. Includes Full Breakfasts and Complete Access to Hot Tub/SPA and Infra-Red Sauna. 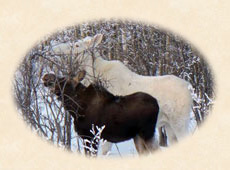 Guided Fishing and Hunting Packages, and Winter Activity Packages. PLEASE READ THE POLICIES BELOW!!! YOU MUST COMPLY WITH THEM! If you give us 91 days or more notice of cancellation, you will be charged only a $25.00 per room per night booked processing Fee. If you give us 31 to 90 days' notice of cancellation, you will be charged only a $50.00 per room per night booked processing Fee. If you give us less than 31 days' notice of cancellation, you will be charged 50% of each night's room charge for each room you have reserved (The amount of the deposit). 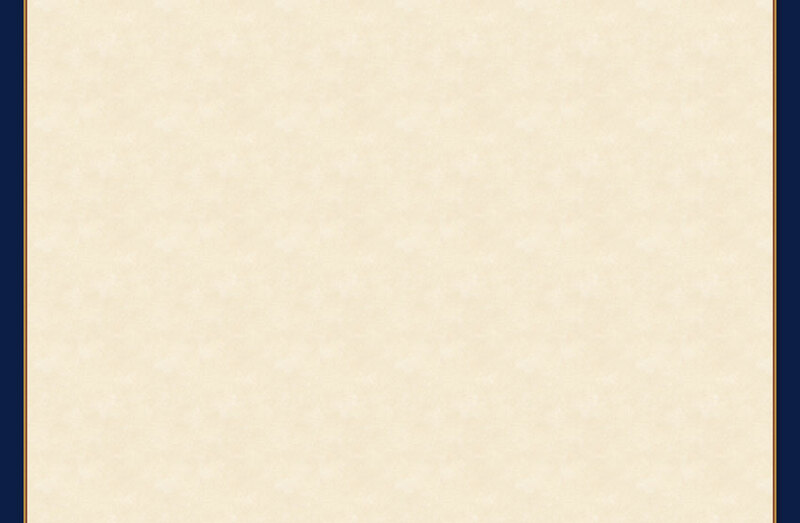 And, with less than 14 days of notice, you will be charged the full price of the room for each night reserved. Upon confirmation of the reservation, 100% of the balance will be charged to the credit card used to book the reservation. A deposit of 50% of each night reserved and, 50% for any fishing and/or flying excursions you reserve will be charged to your credit card to confirm the reservation(s). Your card will automatically be charged any balance due with 7 business days of checking in. Our Check-In Time is between 4:00 PM and BEFORE 10:00 PM. Late Check-In Fee after 10:00 PM is $100.00 per Room. We strongly suggest you take this into consideration when booking your accommodations. 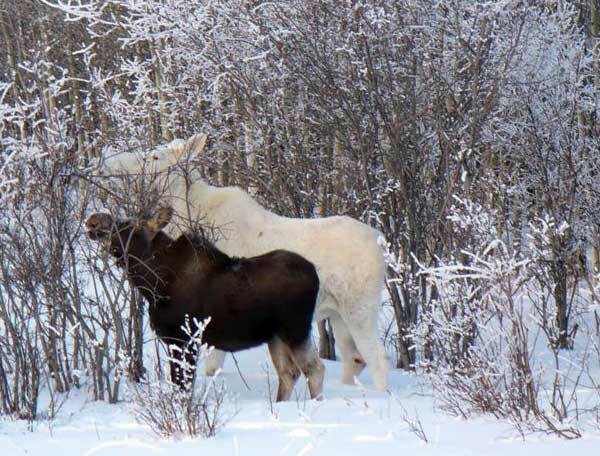 We remind our guests that we are 146 miles south of Denali National Park. Most of the bus tours return from Denali National Park at the end of our check in window, leaving guests to arrive at our lodge at least two hours later. We do acknowledge that summer time in Alaska is also road construction time in Alaska! Please call us if you are traveling our way and find yourselves stuck in this scenario. 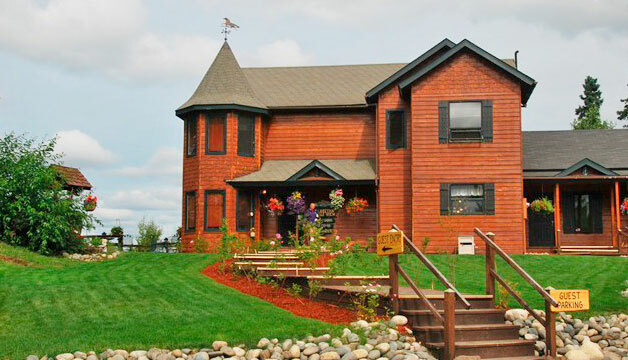 Our owner, Tom Redman, can be reached at 907-841-0749. Check-Out Time is 10:30 AM. An Additional $50.00 per Room Charge for Early Check-In (before 3:30 PM), or Late Check-Out (After 11:00 AM). DISPOSAL OF DIAPERS, FEMININE SANITARY PRODUCTS OR OTHER PRODUCTS! DO NOT Dispose of any Baby or Adult Diapers, Paper Towels, Feminine Sanitary Products or other bulky products in the Toilets or Sinks. The Toilets are for Toilet Paper Only! We use a Septic System for waste disposal and other products can, and do, plug up the system. If you dispose of any product inappropriately down a Toilet or Sink and plug it up requiring professional remediation, you will be charged for the amount of the professional remediation services plus, non-use of the room(s) or of the entire lodge until the problem can be corrected, plus $100.00 (Often, over $1,000.00 per day). NO animals are allowed in the Lodge. This includes pets, service animals, and emotional support dogs. We do allow dogs in kennels inside of our cabins upon approval. There is a $25.00 per night charge for each pet kept in the cabin and a $150.00 fee for any damage, pet accidents, or excessive hair found after the stay. There is Absolutely NO SMOKING of Anything or any Tobacco Products allowed in the Lodge, Rooms, or Cabins. If you are Smoking outside; PLEASE, be responsible and dispose of your butts and waste in the provided containers. If a room is found to contain smoke, smoke smell, ashes or other objectionable odors, there will be a $175.00 fee assessed either before, during or after checking-out. NO Exceptions! • Please; Bathe before entering the SPA to keep the water clean and useful for the other Guests. The Spa is for Rest and Relaxation and is NOT a swimming pool. No running, swimming or splashing is allowed at any time. • Please; Do Not adjust the Temperature, Time or any other adjustments on the SPA or Sauna without asking the Owners. Any change can be uncomfortable to other guests and can actually be dangerous if long exposure to excessive Heat. We will be happy to turn the appliances on and adjust them for you. Just Ask! • Please, DO NOT take glass containers on the upper Hot Tub/Sauna Deck. We will be happy to provide you with plastic containers for your drinks and ask that you not eat in or spill drinks in the SPA or Sauna. Please discard empty containers in the receptacles provided. 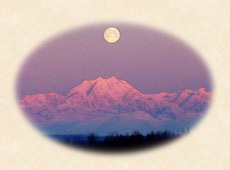 These are a few links to services in Talkeetna you may want to use while you’re here. 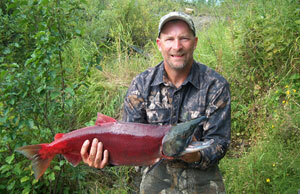 Our new Wilderness River Fishing Guides adventures offers the best Wilderness fishing of any in the Talkeetna area. 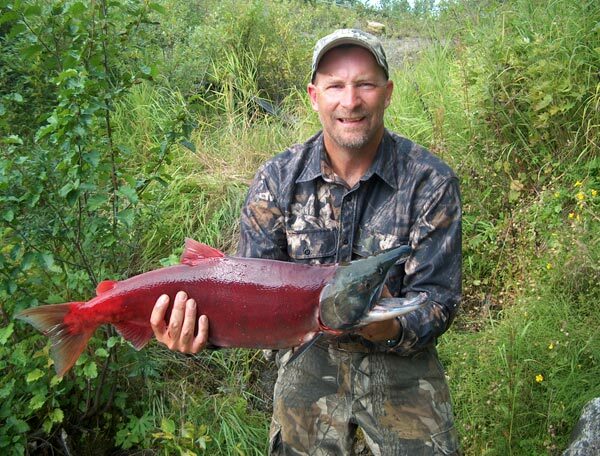 We are a small company with many years of fishing and guiding experience. You’ll find no half-day, elbow-to-elbow “Combat Fishing” here. We offer only the best quality Wilderness Fishing available and we’ll cross paths with as few other fishermen as possible. Alaska State parks offers 60 cabins and 8 ice huts for rent by the public. These cabins are in 18 state park units, as far north as Fairbanks, in Interior Alaska, and as far south as Ketchikan, in Southeast Alaska. For information on local businesses and activities. Welcome......to Mt. McKinley and the glaciers of Denali National Park, Alaska. Come on a Denali flightseeing tour and see one of the last wilderness areas untouched by modern man. Over six million acres of open alpine tundra, wildlife, mile high granite gorges, ancient blue glaciers, and endless icy peaks … let's go! For you folks who are staying in Talkeetna for a short time or just passing through and cannot take advantage of our TDVL Flightseeing Tour Packages; or, if you would like to experience a Glacier Landing we highly recommend the Locally Owned and Family operated firm of Talkeetna Air Taxi. They are Great Folks! 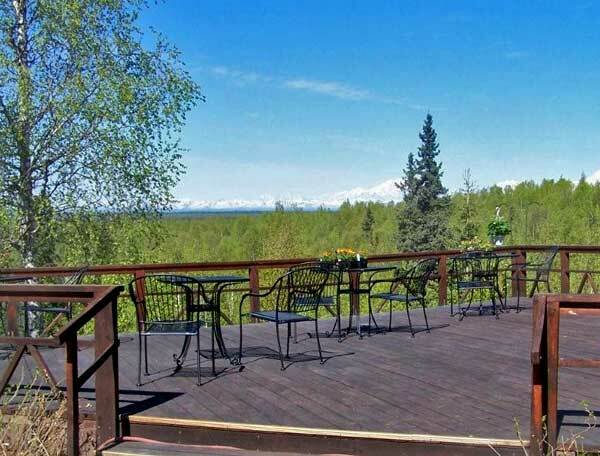 Call us and we can make reservations for you or mention our Talkeetna Denali View Lodge or Wilderness River Fishing Guides of Talkeetna, Alaska and get a minimum of $25.00 per person off a Flight. More discounts available for 5 or more passengers.